Between stepping, lunging, skipping and planking, aerobics is a great way to meet new people and burn plenty of calories. Rhythmic in nature, aerobics is a fitness class to music led by an instructor that will make you sweat and get your heart racing. Classes can be assisted with weights or your bodyweight can simply be enough to make a good workout. 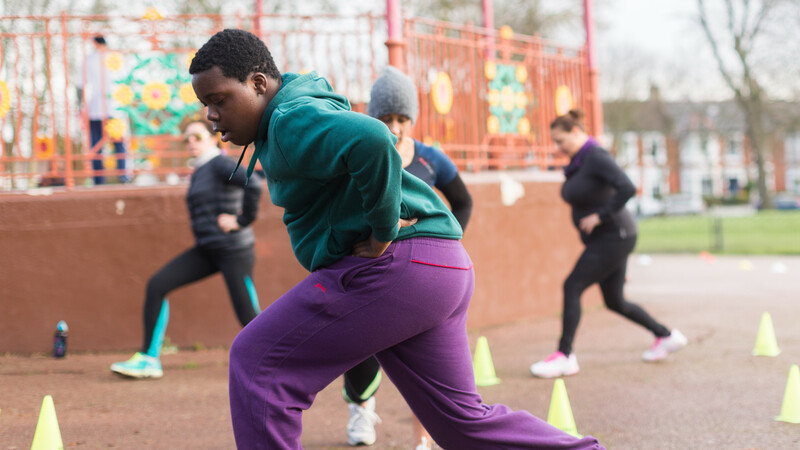 If the gym isn’t your thing, then there are plenty informal groups who hold drop-in sessions. If you don’t fancy the commitment, aerobics can fit around your lifestyle or can be built on as something that is already part of your routine. Encourages creative flair – how about a session including glow sticks or leg warmers and lycra? No specific equipment is needed, just normal sportswear and a hand towel for a quick pat down between moves. Most sessions take place indoors, so make sure you wear clothes you’re comfortable breaking a sweat in. During the summer months, some sessions might take place outside, so dress appropriately for the weather (which, knowing London, will be rain). If that’s not enough to excite you, take a look at the Exercise, Movement and Dance Partnership for campaigns you can be part of and how to become an instructor.